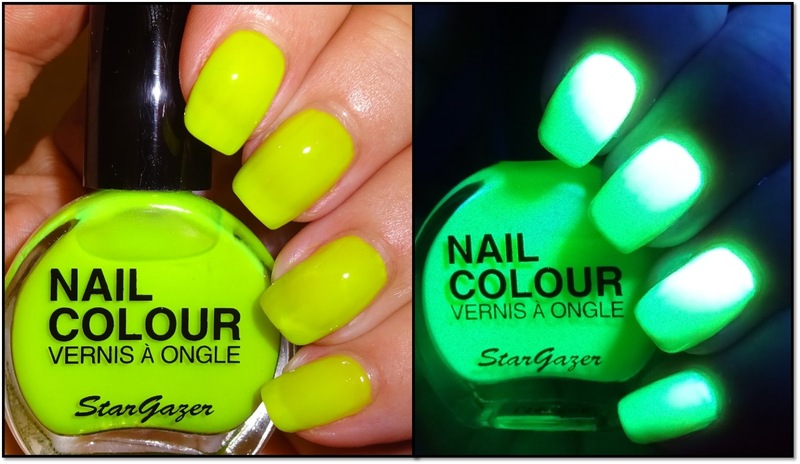 Stargazer has a range of 6 Neon Nail Polishes which illuminate next to/under UV/Black light. I have the 6 shades to review, this is the third review and is for Yellow. A crelly formulation and next to a UV light you'll need your sunglasses on, it's soooooo bright! My camera flash has made the formulation look like full block coverage but it's very much a crelly. The neon nail polish applied easily and has a nice flat brush. I applied three coats plus regular top coat. The formula is 5-Free meaning it does not contain Toluene, Dibutyl Phthalate (DBP), Formaldehyde, Formaldehyde Resin nor Camphor. The Stargazer Neon Nail Polish is currently £2.50 for a 10ml bottle. UK shipping starts at £4 and is free on orders over £50, International shipping is also available.